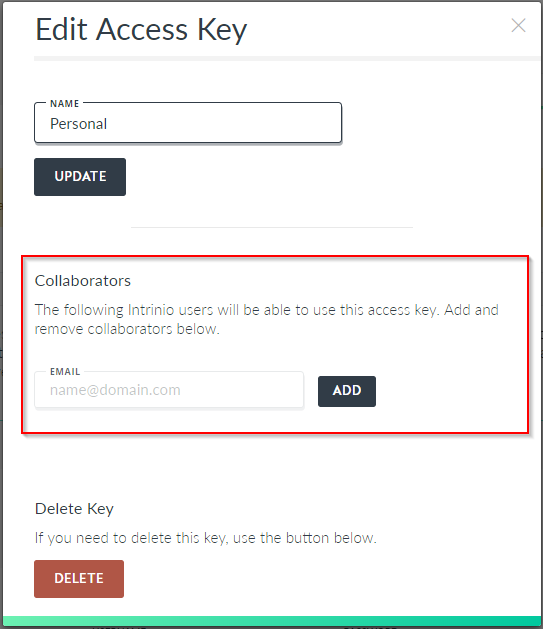 Once you add the email they signed up with, they will see a specific set of collaborator access keys on their own account page that they can use and their usage will be counted against your subscription. Their API key will include their username but the password of the primary account. This allows a single paid subscription to be used with any number of developers, analysts, or employees. If you can't find your API keys, start here. If you aren't sure how to use them, look here.